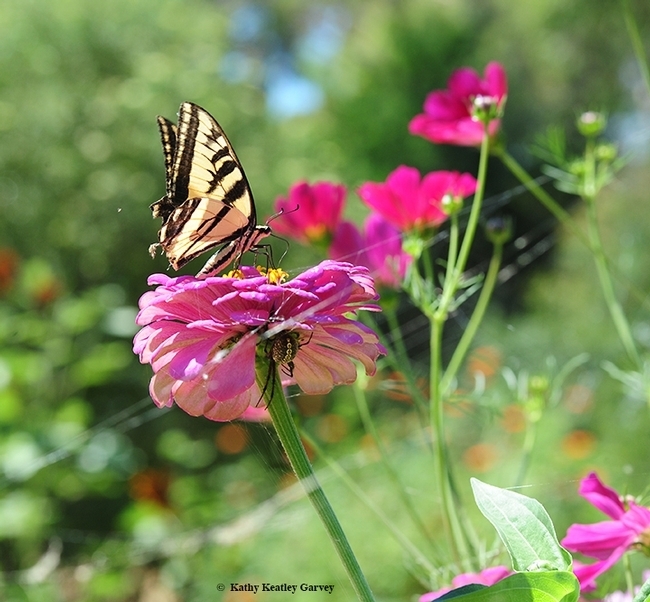 Pollinator Gardens Make Us Happy: Get Ready for National Pollinator Week! 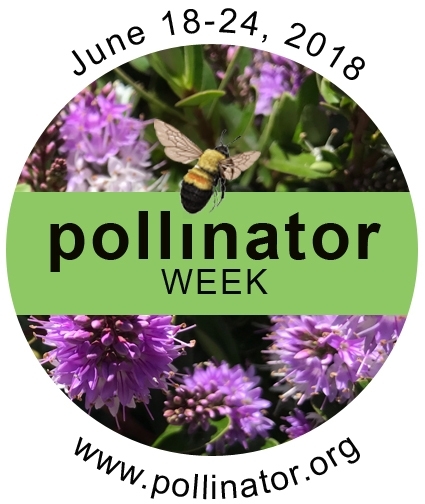 June 18-24 is National Pollinator Week. 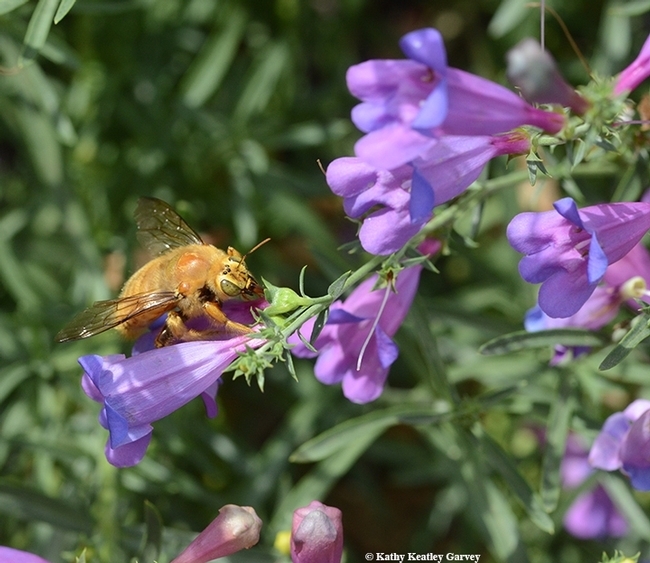 Do you know where your pollinators are? 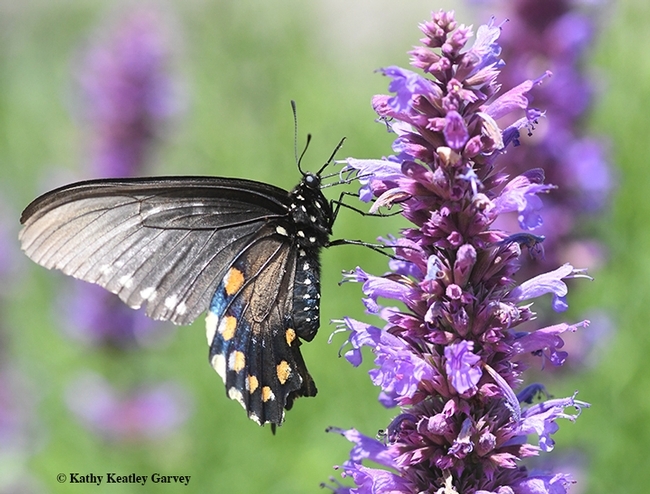 Think bees, birds, butterflies, bats and beetles. And think flies. 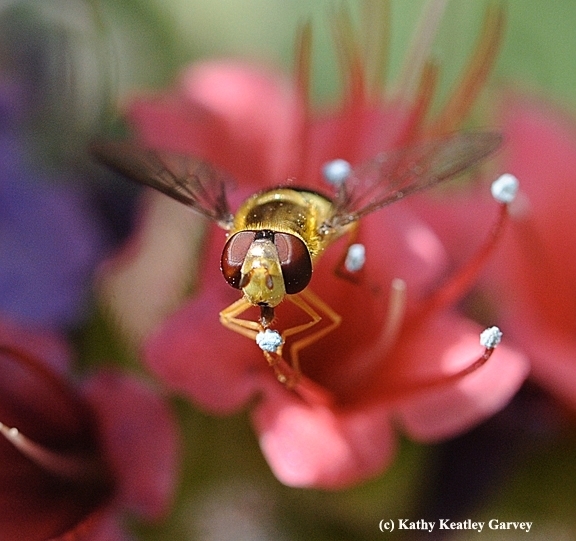 Especially syrphid flies, also known as "flower flies" and "hover flies." 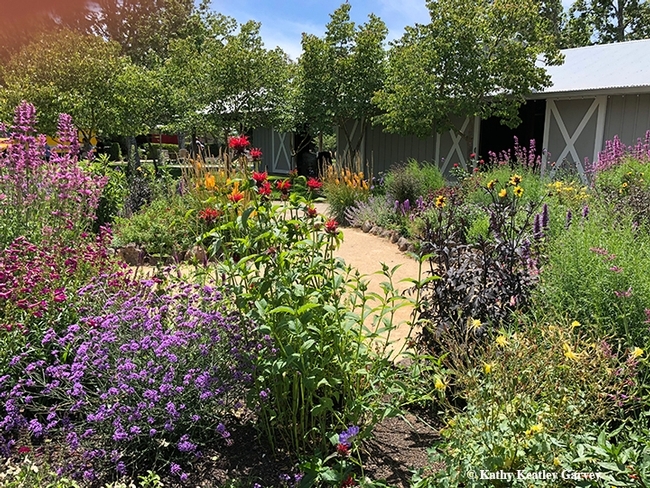 The UC Davis Department of Entomology and Nematology is hosting an open house during National Pollinator Week from 11 a.m. to 2 p.m. at its bee garden, Häagen-Dazs Honey Bee Haven on Bee Biology Road, west of the central UC Davis campus. 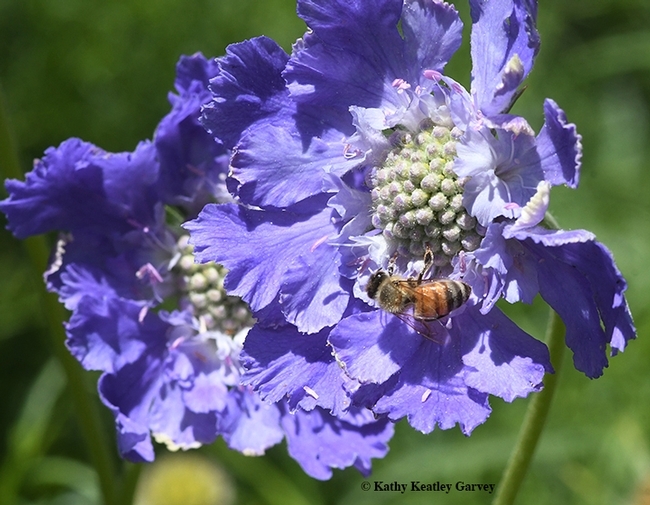 see easy-to-grow bee plants and solitary bee houses available for a donation to the garden. 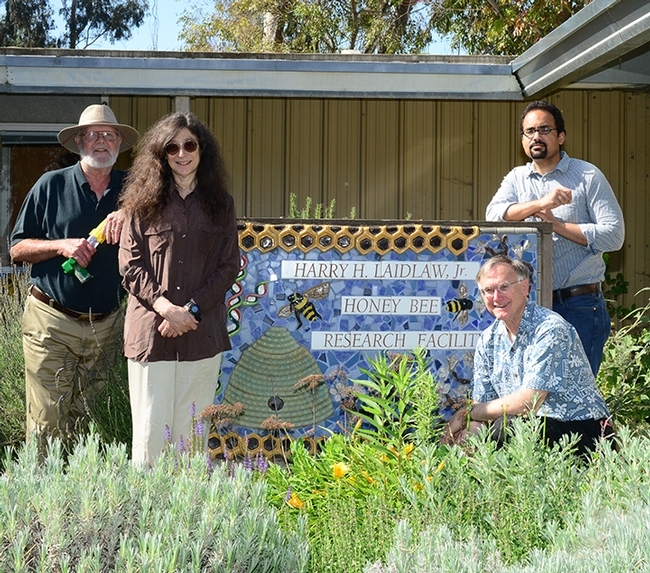 The Häagen-Dazs Honey Bee Haven, installed in the fall of 2009 and located next to the Harry H. Laidlaw Jr. Honey Bee Research Facility on Bee Biology Road, off Hopkins Road, is a half-acre garden devoted to bee pollinator conservation and education. 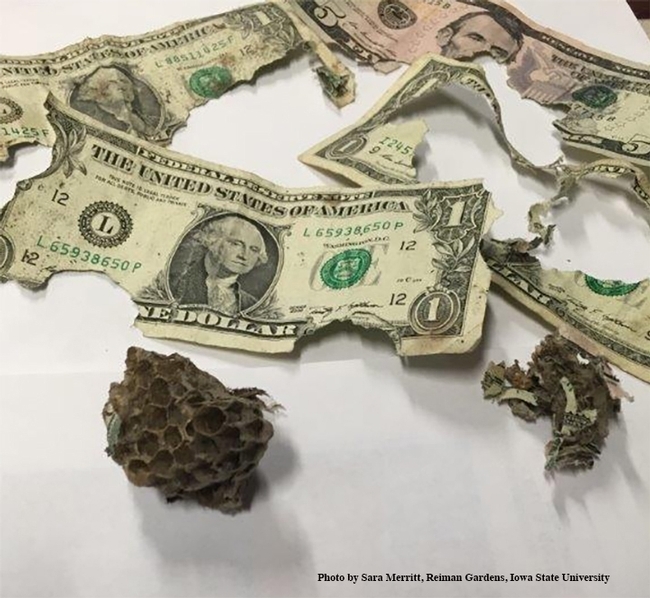 It was founded and sprang to life during the term of interim department chair, Professor Lynn Kimsey, director of the Bohart Museum of Entomology, who coordinated the entire project. 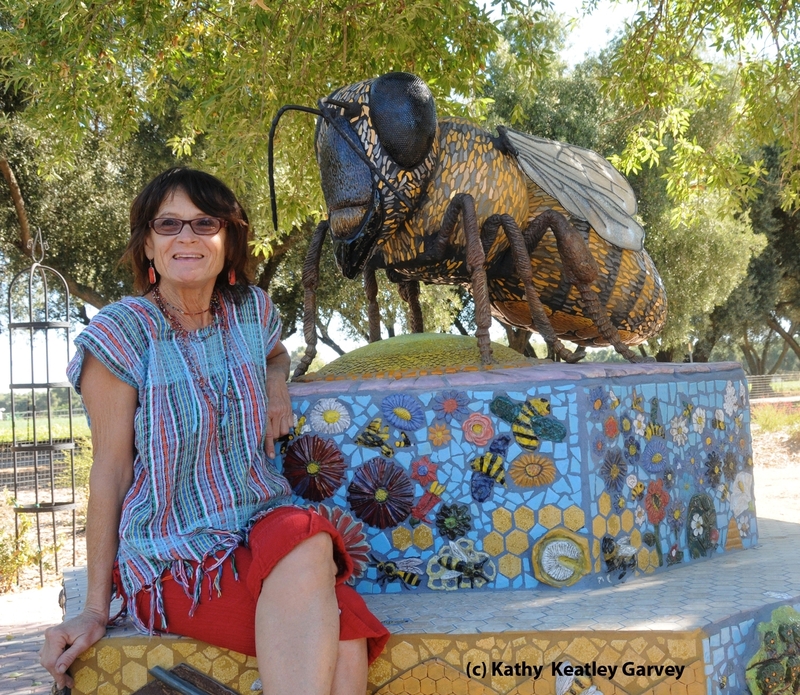 Kimsey was singled out for her work when the Pacific Branch of the Entomological Society of America honored her and four others – "The Bee Team"– with the 2013 outstanding team award. 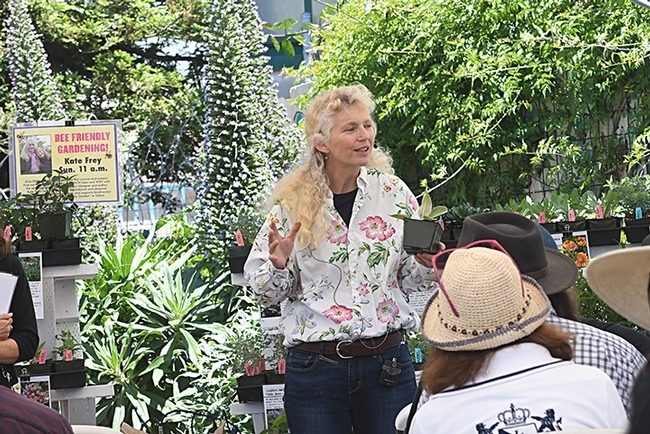 A Sausalito team – landscape architects Donald Sibbett and Ann F. Baker, interpretative planner Jessica Brainard and exhibit designer Chika Kurotaki – won the design competition. The judges were Professor Kimsey; founding garden manager Missy Borel (now Missy Borel Gable), then of the California Center for Urban Horticulture; David Fujino, executive director, California Center for Urban Horticulture at UC Davis; Aaron Majors, construction department manager, Cagwin & Dorward Landscape Contractors, based in Novato; Diane McIntyre, senior public relations manager, Häagen-Dazs ice cream; Heath Schenker, professor of environmental design, UC Davis; Jacob Voit, sustainability manager and construction project manager, Cagwin and Dorward Landscape Contractors; and Kathy Keatley Garvey, communications specialist, UC Davis Department of Entomology and Nematology. 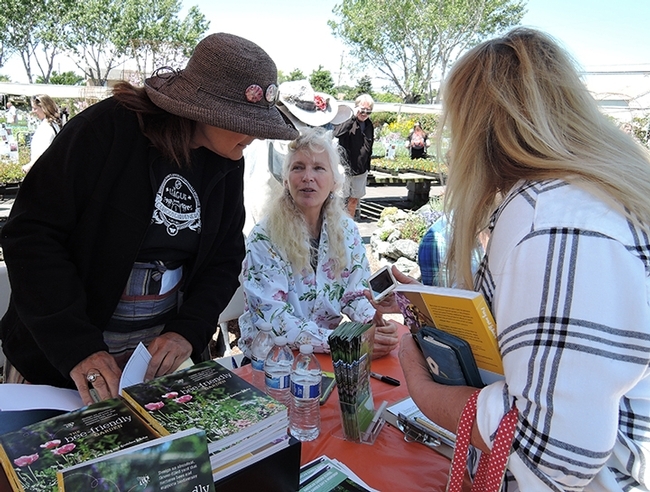 Others with a key role in the founding and "look" of the garden included the UC Davis Art/Science Fusion Program, founded and directed by the duo of entomologist/artist Diane Ullman, professor and former chair of the UC Davis Department of Entomology, and self-described "rock artist" Donna Billick of Davis. Miss Bee Haven, a six-foot long worker bee sculpture, the work of Billick, anchors the garden. 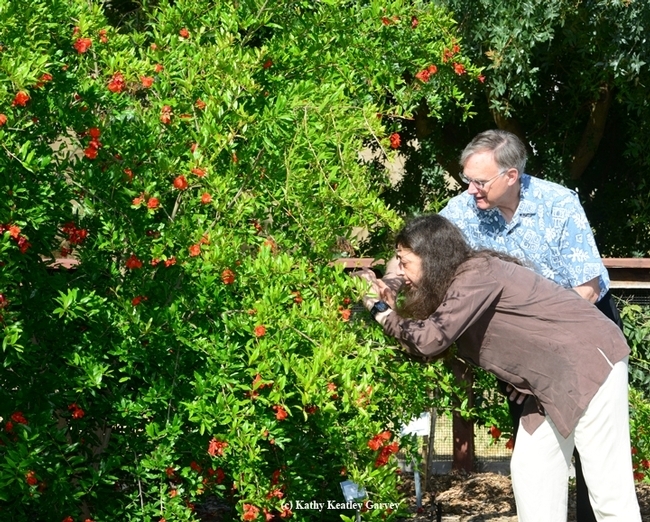 The art in the garden is the work of their students, ranging from those in Entomology 1 class to community residents. Eagle Scout Derek Tully planned, organized and built a state-of-the-art fence around the garden. 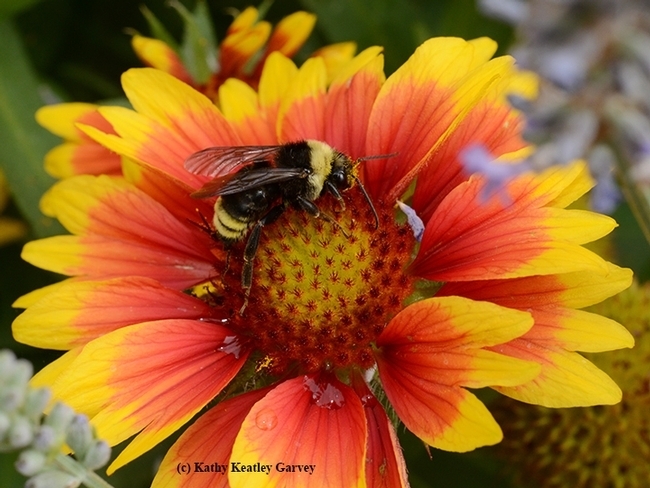 "Pollinators are essential to our environment. 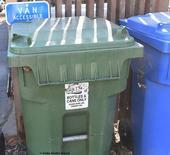 The ecological service they provide is necessary for the reproduction of over 85 percent of the world's flowering plants, including more than two-thirds of the world's crop species. 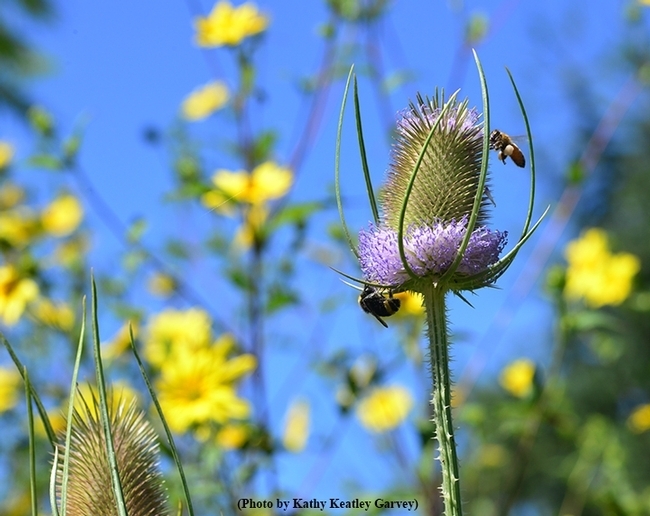 The United States alone grows more than 100 crops that either need or benefit from pollinators, and the economic value of these native pollinators is estimated at $3 billion per year in the U.S. 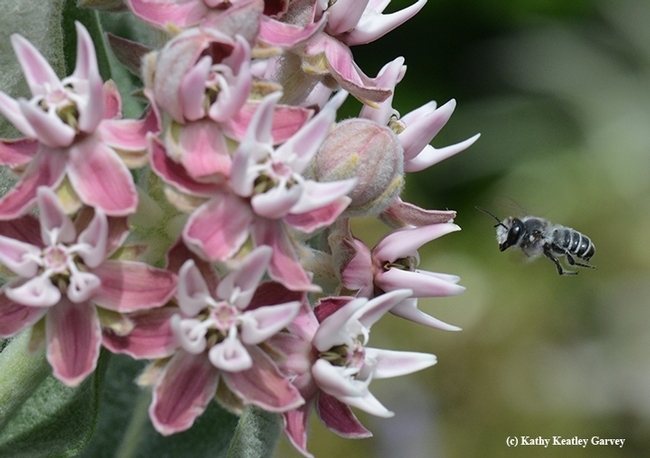 Beyond agriculture, pollinators are keystone species in most terrestrial ecosystems. 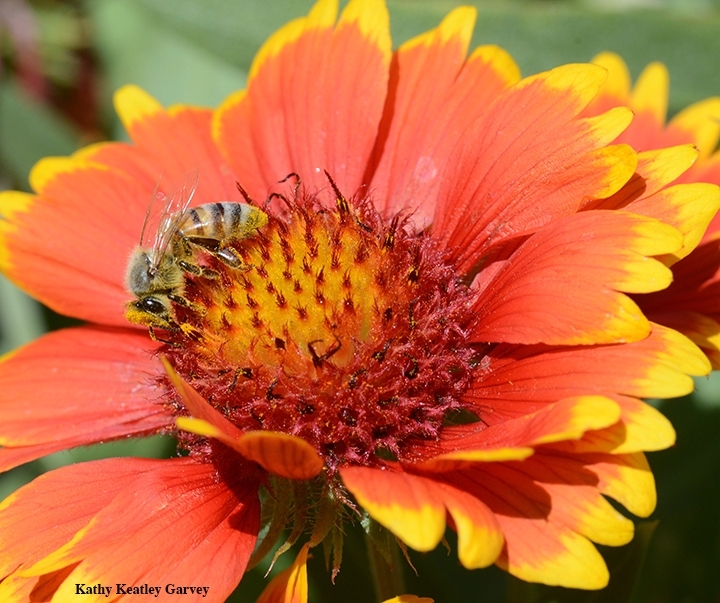 Fruits and seeds derived from insect pollination are a major part of the diet of approximately 25 percent of all birds, and of mammals ranging from red-backed voles to grizzly bears. 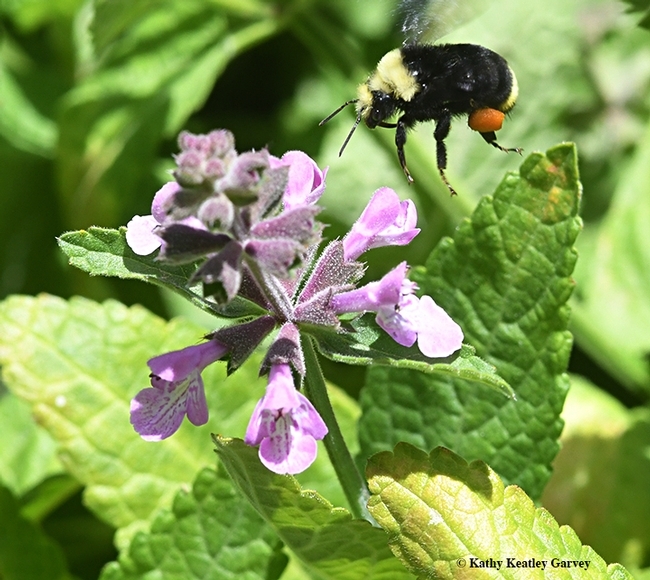 In many places, the essential service of pollination is at risk from habitat loss, pesticide use, and introduced diseases." 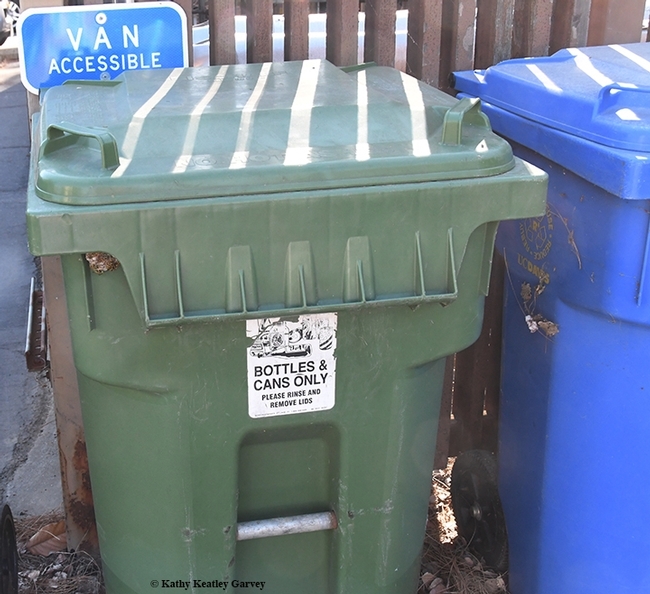 So, on Saturday, June 23, you won't see any red-backed voles or grizzly bears. 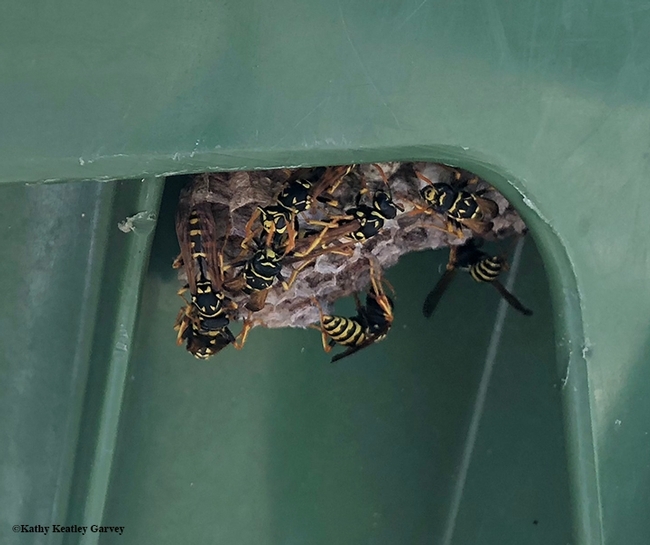 But you'll see bees, butterflies, birds and beetles. 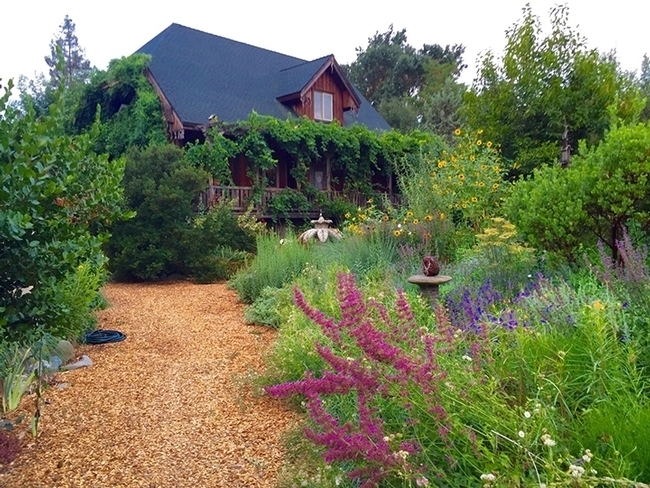 The garden of Kate and Ben Frey, Hopland, is a showstopper.